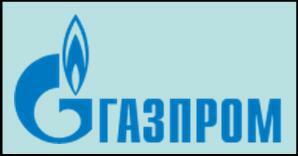 As promised, an update on Gazprom’s travails in the European gas market. Unfortunately Cepëж мой друг, the figures are not these at all – you are out by two orders of magnitude. According to best estimates, trade at the NBP is approx 10 times the amount of underlying UK demand, itself around 100 billion cubic meters per annum. A higher multiple would be preferable, but a churn of 10 is pretty respectable. Hence, price formation here is based on around 1,000 BCM of trade – around 6 times more than Gazprom’s exports. Some tail ! NBP price formation is not beyond technical criticism, but inputs include the dynamics of diverse pipeline gas supplies and LNG; the smaller German, Dutch, Belgian and French wholesale markets are highly correlated to NBP; and it is used as a pricing basis in vast amounts of contracts for traded and delivered gas and a range of derivatives across all of the UK, much of northern Europe, and in the substantial Atlantic LNG trade. It’s a real, meaningful price, reflecting the fundamentals of supply and demand. An ideal candidate for indexing long-term contract prices, obviating the need for future price renegotiations. Still, Gazprom can rely on plentiful Stockholm syndrome amongst its counterparties. Yup that’s E.ON, a buyer, one of Gazprom’s biggest, hoping the surplus won’t last long! When our suppliers start thinking like this, heaven help us consumers. I assume that transporting gas by pipe is a lot cheaper than liquid by boat, but surely there comes a point when the cost difference outweighs the price difference? Unfortunately most of us consumers are a captive market. Heating is not an easily substituted service. Whoops I meant the other way around. and frequently there are irrational / highly political players at the upstream ends of both systems ! I've enjoyed your gradual exposes of Gazprom over the last few months, but I have to ask, "Will anything actually be done about it?" If E.ON et al are of the crazy mindset that you report, are the EU commission as well? All well and good pointing out the flaws, but if they can't be fixed, what's the point? The only outcome atm is that it raises my ire against those pesky ruskies. the basic answer, as I've said here before, is to use this window of (temporary) Russian weakness to strike some well-structured long term contracts. This means making them subject to an appropriate common law jurisdiction, e.g. England&Wales, or NY, or Harris County TX. For a male, Nick, you don't need the final a on Sirozh. I thought it was like Sasha, James, but I bow to your superior knowledge and have made the change!